There will be changes to our weekly timetable for one week only as Jen and Stretch are off to LA to check out new activewear suppliers! 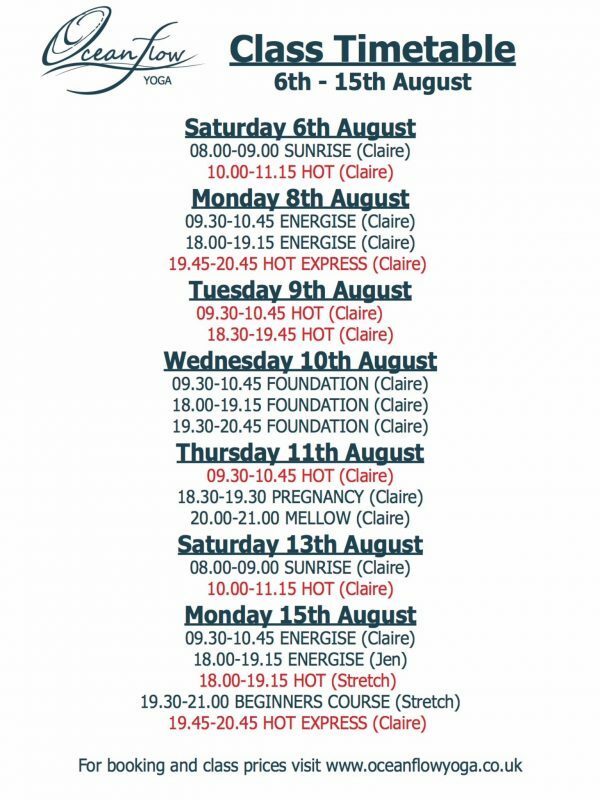 Claire will be covering a skeleton timetable at the studio so any problems or queries, please contact her on 07842755600 or claire@oceanflowyoga.co.uk during these dates. To book or cancel classes (more than 3hrs before) please click >here<. Please note we have a 3 hour cancellation policy so any cancellations 3 hours before class start are subject to a charge and will need to be cancelled by contacting Claire within that period or with more than 3 hours through the booking system!